Doc Martens was built for the working class, rebels, rockers, and outcasts of the world. 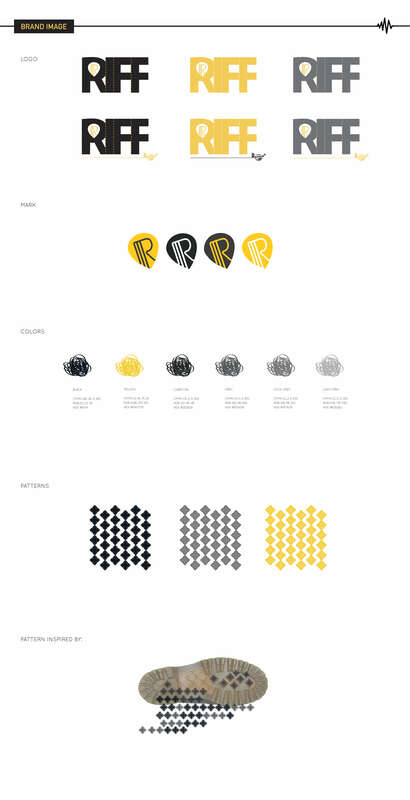 The Riff brand extension pays homage to the musicians and those who adopted that ethos and made them into the icons they are today. 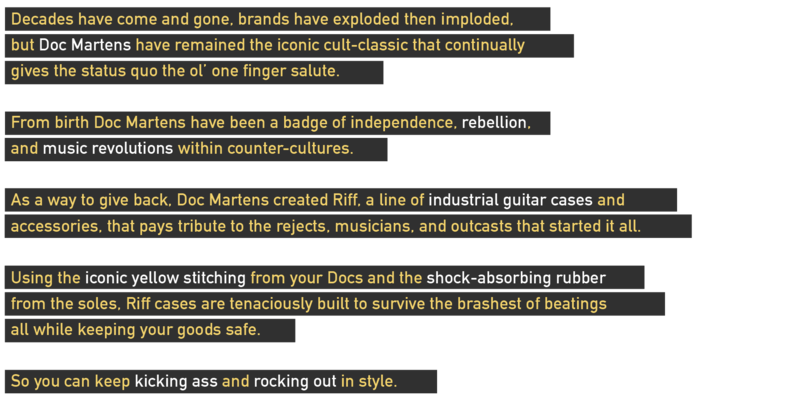 Keeping true to their origins, Riff is a series of industrial-grade, utilitarian guitar cases and instrument accessories designed to survive the brashest of beatings, much like your Doc's. Utilizing the iconic yellow stitching and shock-absorbing rubber from your Docs, Riff cases are built to last. 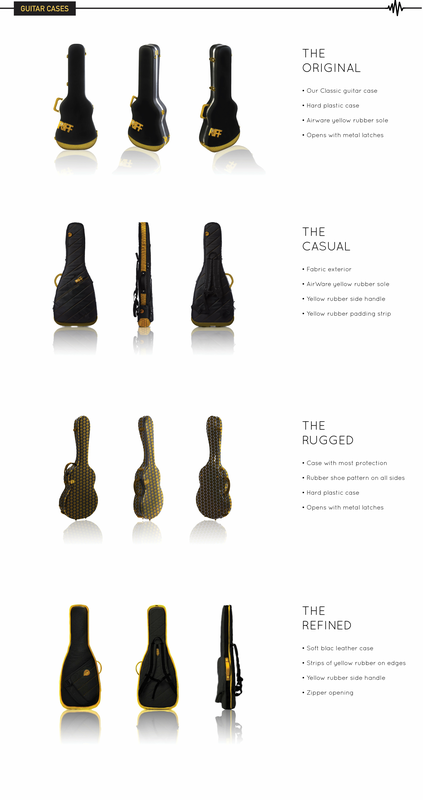 We created 4 distinct style guitar cases based on the different existing Doc Marten styles.